Water is a vital ingredient for the function of the human body. Seventy five percent of our bodies by mass is water. Outwardly we need water to clean and protect our bodies, to keep us free from infection caused by bacteria. It is needed for chemical reactions within the body and for transporting other substances around it. A daily intake of water is important for the digestion of our food by aiding its conversion to the required nutrients. It also aids the removal of the body’s waste products. The Cardiovascular system circulates blood containing an high percentage of water to deliver nutrients and oxygen around the body to organs and cells. It also removes waste which is taken to the Kidneys where it is filtered and converted to urine and subsequently excreted. Perspiration and sweating is another way that the body uses its water supply. 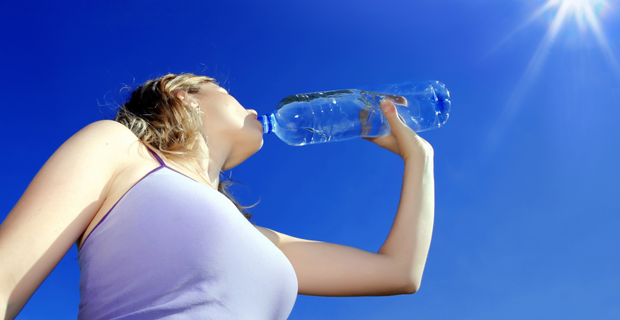 The loss of fluid by the body can cause dehydration or in some cases organ failure. This has been highlighted in the media recently where elderly persons have died in Great Britain through the lack of available drinking water when in care and abroad during extreme natural disasters.